YouTube is the largest database of videos available online, and an integral part of the Android environment as well. Since downloading YouTube videos have been an age-old “illegal” tradition, Google decided to bring the ability to save YouTube videos on Android legitimate. 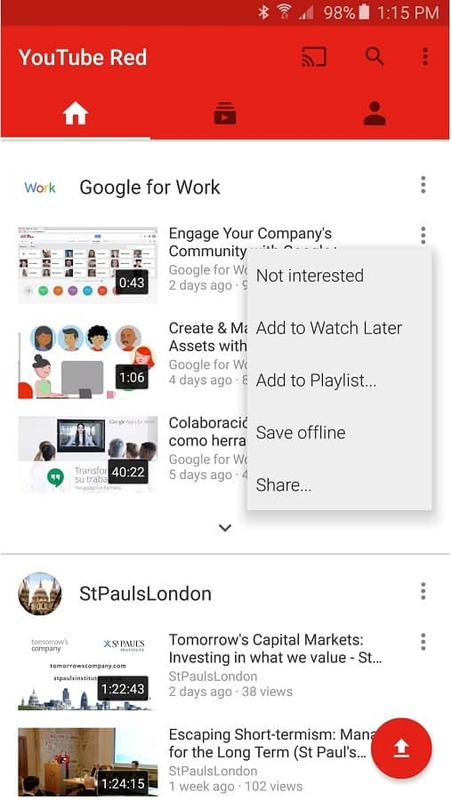 YouTube Offline is the feature in the app which allows you to save videos for offline viewing, which can be accessed even without an active internet connection. So whether it is a short film that you’re planning to watch on your road trip or a cooking recipe you want to try out later, simply save YouTube videos on Android and watch them later. Why YouTube’s Watch Later instead of any YouTube ripper? Moreover, Google uses EXO file format to save YouTube videos on Android for offline viewing, which does more than providing security. The files are also compressed for offline viewing, which reduces the size of the downloaded file considerably, without messing with the quality at all. 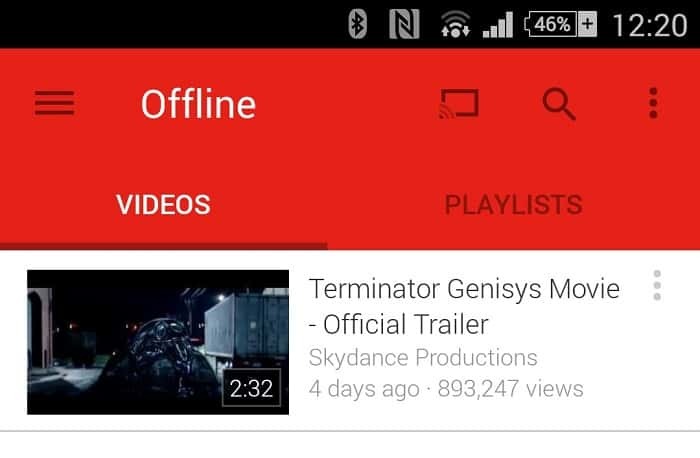 Open the YouTube app on your Android device and open the video that you wish to save for offline viewing later. 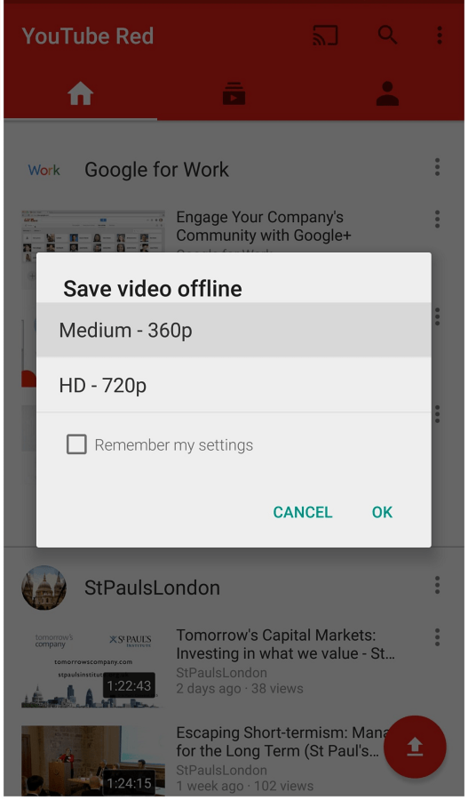 You will be able to see a down icon right below the video title on the screen, which enables you to add the video to “Save video offline”. You can also press the three-dot menu button next to the video screen and select “Save offline”. The pop-up window will give you the option to choose the quality of the video between Medium – 360p and HD – 720p. You can press the checkbox next to “Remember my settings” to download the same quality every time and press “OK” to begin. The video will now be added to your Watch Later playlist and will begin downloading. Make sure that you are connected to the internet while the video downloads. You can now go to your Account page in the YouTube app and press the Watch Later tab to see all your save YouTube videos on Android. Do you prefer the legitimate of saving YouTube videos, or would you rather stick to the other ways of downloading any YouTube video without restrictions? Let us know your thoughts in the comments section below.